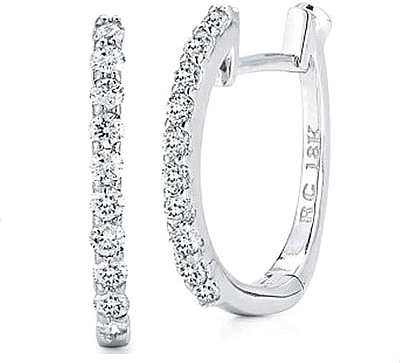 These stunning diamond hoop earrings by Roberto Coin feature prong set round brilliant cut diamonds. This item normally ships within 1-2 weeks. Shipping may be delayed with certain styles or ring sizes.